operations* of which the Company shall be the sole judge. 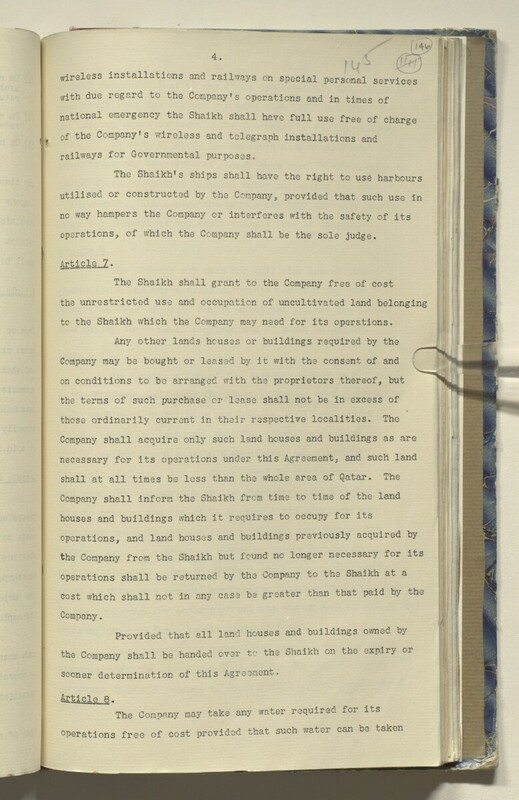 to the Shaikh which the Company may need for its operations. sooner determination of this Agreement.